Sound design plays a key role in how films are watched and felt. Winner of multiple awards and Thai sound mixer for Wong Kar Wai’s “The Grandmaster” makes us listen. As the closing credits rolled, the realisation occurred that this film experience feels different. Scenes of walking, movement, falling leaves or even breathing became more distinct and the precise timing of the musical score enhanced my enjoyment. Yes, there’s narrative, acting and visuals – but this time, sound effects really registered, unlike before when I paid less attention. Because Fah Thai had a chance to talk with a renowned sound master recently, every auditory facet in the movie became important. 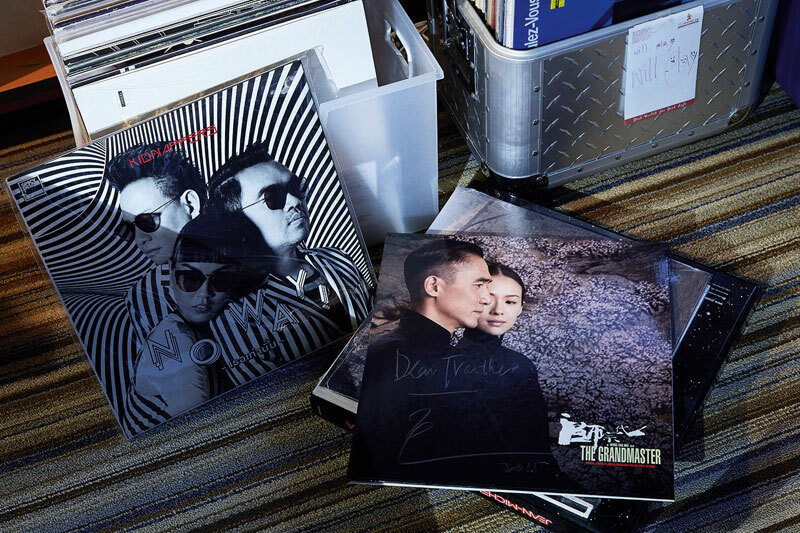 Traithep “U” Wongpaiboon, a sound and music lover, avid vinyl collector and the managing director at Kantana Sound Studio, points out that except for dialogue, the rest of the sounds in a movie have to be created in the studio. With more than 20 years of sound and music experience and as a band member of the Kidnappers, a Thai 90’s indie electronic pop band – he is no rookie in the sound industry. His job as a re-recording mixer deals with post audio production. Once the movie is shot, sound effects, foley sounds and music get integrated according to a director’s specifications. Consequently, Traithep is responsible for the whole sound-mixing process. It’s a technical process but results in a film with an artistic soundscape and the viewer absorbs the narrative without noticing the sounds as a storytelling companion.